Lisa Cape works in the Customer Service Centre at World Nomads and recently returned from adventures on the road. In July of this year myself and 6 like minded seasoned travellers left our phones and a good part of the 21st century behind and headed off to the most sparsely populated country on the planet - Mongolia - the land of happiness and harmony. The People and their nomadic lifestyles. If you are not a fan of no electricity, no showers and drop toilets.. don't go. 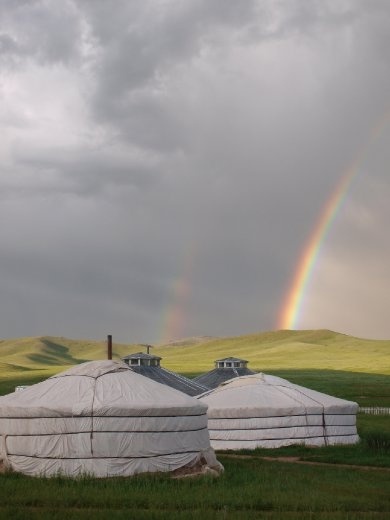 If you want to see life through the eyes of generations of families living and working together in harmony and self sufficiency, then Mongolia is not only the experience for you but really the only place left on the planet where 50% of the population still live this way. In one day I had chased yaks (with 6 giggling kids from one Ger showing me the way), milked a cow, herded goats and galloped across the grassy plains on my gallant steed ! I must fess up here - the galloping was more of a slow trot and my gallant steed was more of a tolerant pony but hey, the horses of Mongolia are short and stout and if they were good enough for Genghis Khan, then they become legends in my 'memory bubble' of that particular day. 1.) No doubt you will travel long distances over the incredibly bumpy roads in one of the many 'Ruski crap' russian vans that are a dime a dozen - my tip here is for females ... wear a supportive bra*! Side note here - the 'roads' are actually only few and very far between so most distances over the vast plains are negotiated rather than navigated by drivers who seem to know exactly where each marmot hole is.. and hit each one! .. *side note no. 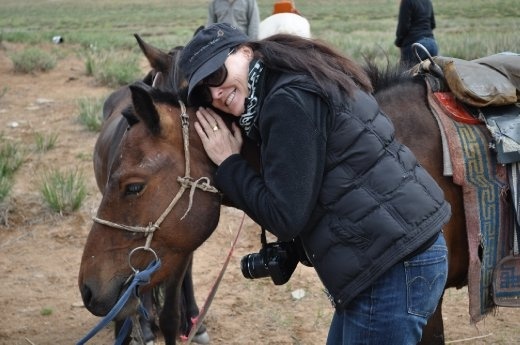 2 - Mongolia is a very safe and easy place for women to travel to.. 2.) Drop toilets are always a challenge - well they aren't really as long as you have good thigh and calf muscles, have pre organised the toilet paper to be ready to go (this will depend on whether you are a scruncher or folder of course!) and the two MOST important things when dealing with any drop toilet anywhere on the planet - a. ensure you are wearing a scarf (preferably around the neck) that has been liberally splashed with eucalyptus oil so you can move it up over the nasal passage (gangster style) upon entry to said drop toilet and b. don't look down.. ever!!! 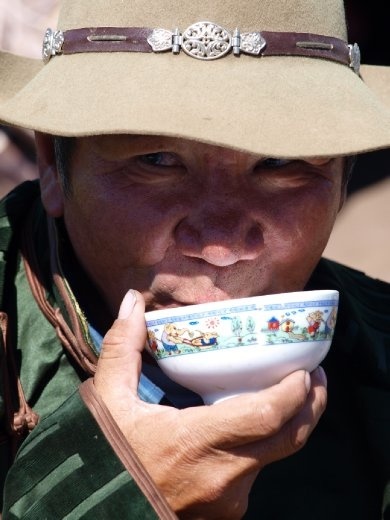 Take at least a sip or nibble of EVERYTHING that is offered to you .. it is not only the polite thing to do but hey, how often do you get to try dried camel or yak milk! Or indeed yak milk with vodka shots (you must drink everytime the host drinks)... but that is a whole other story and one that involves attempting to sell one of my fellow travellers for a dinosaur egg!! The Naadam Festival - has pipped the opening of the Sydney Olympics in my experience.. not quite apples with apples but hey, it's my story!! I have been fortunate enough to have visited over 70 countries and nothing ever prepares me for the incredible people and their diversified cultures - travel is truly the best thing on the planet! !